Sales leaders must take some of the blame. 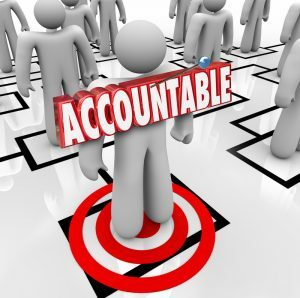 There are three main skill areas that indicate a sales leaders’ effectiveness at driving results through their team: Accountability, Motivating and Coaching. In fact, the best sales leaders spend 80% of their time on these three components. No wonder so many sales reps don’t meet their quotas. Their sales leaders fail to do all the things to help sales reps focus on the right behaviors and activities. While most sales leaders possess enough of the identified traits to be proficient sales leaders, it is the missing areas that always neutralize someone’s effectiveness. What does this all mean? Manages Behavior – In other words, instead of just looking at the sales numbers (which is an historic analysis) pay attention to the activities and behaviors that produce sales. Are salespeople doing enough prospecting? Are they asking for enough referrals? If only 30% of the 45,000 sales leaders that produced this data are managing behavior, then there is definitely room for improvement. Manages the Pipeline – This is a close cousin to manages behavior. In my experience, many sales leaders believe they are managing the pipeline, but in reality they are just going through the motions, listening to salespeople drone on about the same old tired deals stuck in a pipeline. I have written several articles about managing the pipeline: Reduce the Fluffy Pipeline Syndrome, Sales Pipeline Review Meetings: Boring, Time Wasting and Useless, Is Your Pipeline a Pipe Dream? How to Tame Your Sales Pipeline, Six Simple Steps to Pipeline Predictability. Check them out. Sales leaders who also make excuses instead of taking full responsibility for outcomes tend to accept these and other similar excuses from their sales reps. If leaders are in the habit of managing behavior, as opposed to just outcomes, then it is far easier to dispel these and other excuses. Stay tuned. I will focus on the data surrounding other critical competencies of world class sales leaders: Coaching and Motivating, in future posts. Next Marshmallow or Meanie Pants?